Billings, Mont. – Today, R-CALF USA CEO Bill Bullard issued the following statement regarding President Trump’s recent announcement that he would “expeditiously schedule a technical visit” by the U.S. Department of Agriculture (USDA) as a means of lifting restrictions on the importation of fresh or chilled (fresh) beef from Brazil. “President Trump’s capitulation to Brazil’s demand that the U.S. quickly resume fresh beef imports is a classic example of politics trumping science. Decades ago, the USDA Food Safety and Inspection Service (FSIS) declared Brazil’s food safety inspection system to be equivalent to that of the United States and Brazil was limited to export only pre-cooked beef as a precaution to prevent the introduction of the dangerous foot-and-mouth disease (FMD) into the United States. “Despite strong evidence to the contrary, the USDA Animal and Plant Health Inspection Service (APHIS) determined in 2015 that Brazil was free of dangerous foot-and-mouth disease (FMD) because of Brazil’s FMD vaccination program. This opened the door for Brazil to begin exporting fresh beef to the United States. “However, Brazilian slaughtering plants had consistently failed to pass U.S. food safety audits. Miraculously, after conducting at least 18 audits of food safety practices in Brazilian slaughtering plants, all of which failed due to numerous food safety infractions, the USDA FSIS nevertheless determined in 2015 that certain Brazilian slaughtering plants could begin exporting fresh beef to the United States. “Then Agriculture Secretary Tom Vilsack applauded this news and welcomed the first shipments of fresh Brazilian beef to the U.S. in September 2016. United States cattle prices tumbled throughout 2016 in anticipation of and in response to Vilsack’s pronouncements. 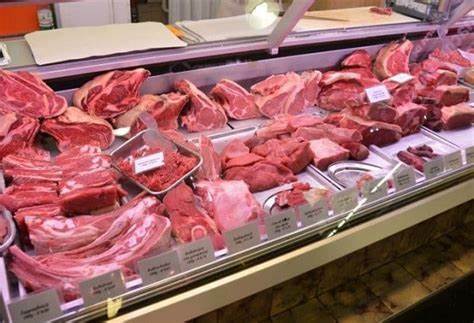 “But the truth of Brazil’s food safety deficiencies was soon disclosed and in 2017 Brazilian beef packers were cited for food safety-related corruption and Brazilian fresh beef exports were deemed adulterated and unsafe. Although he resisted for months, Agriculture Secretary Sonny Perdue finally suspended Brazilian fresh beef imports in June 2017. “In a purely political move, Purdue did not revoke Brazil’s equivalency determination. In other words, despite the widespread corruption involving Brazil’s food safety systems, and despite repeated failures to address FSIS audit findings over nearly two decades, the U.S. Secretary of Agriculture continues to recognize Brazil as having a food safety system equivalent to that of the United States. “At best this makes a mockery of the U.S. equivalency standard for foreign food safety systems. 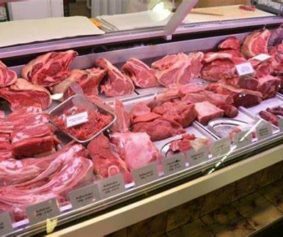 At worst it subjects the U.S. cattle industry to a clear and significant danger of FMD introduction and consumers to unsafe beef for which there will be no origin designation due to Congress’ repeal of mandatory country-of-origin labeling. “This danger arises because the United States’ current default policy is that Brazil is eligible to export fresh beef to the United States. “At the stroke of a pen, a politically motivated FSIS auditing team, acting on behalf of President Trump, can lift the flimsy restriction on Brazilian fresh beef imports that Purdue was forced to implement. There will be no rulemaking, no independent scientific analysis, no public comment. “If the restrictions are lifted, the decision to do so will be as political as the decisions made by the previous administration.